If you are looking for a special gift for you are doing it in a right place!!! This magnetic man is hand made of natural oak wood. It will be a great addition to a collection of this type of a magnetic man. 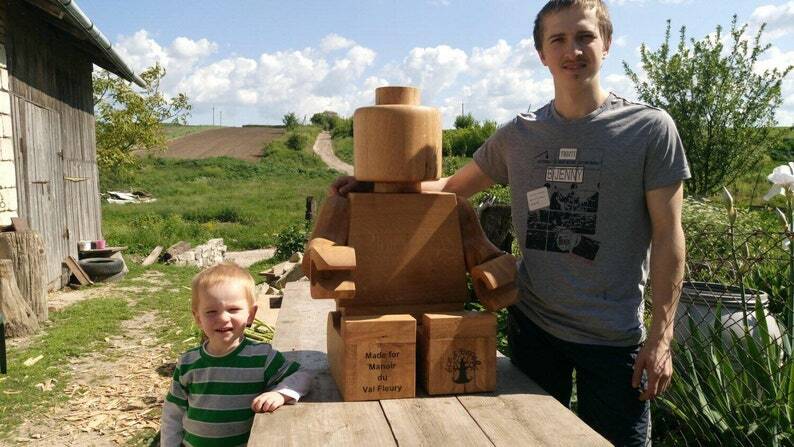 Wooden man - 100cm/40 inch man made of natural oak wood. Dolls & Action Figures has moving legs, arms, head and wrist. Made of a natural oak wood. 100% handmade. Polished and coated with beeswax to protect wood from moisture and dust. As you know, wax is children safe product and there is no danger from poisoning or allergy. This toy is best suited for children from 3 years. Anatomical man Gift for doctor boy present eco friendly Wooden man 10cm Skeleton carving Halloween decor man personalized toy.